Does anyone own this timepiece or have experience with it? 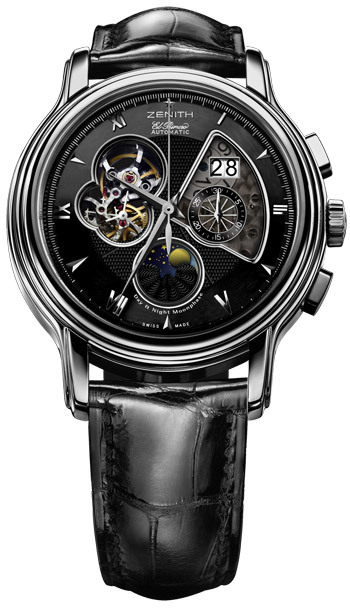 It's a retired model (because Zenith is insane, ha) and I've loved it since I first laid eyes on it. I've been trying to get my hands on one for years and I'm taking another stab at it. Does anyone have anything positive or negative to say about this model? Please post pics if you have any. Next Topic: Is Zenith Rattrapante (Splite Second) Grand Date 4026 discontinuous ?